A Teacher without a Class: Awesome Pencil Sharpener Giveaway!!! I first came across these pencil sharpeners last summer through the rave reviews by teachers everywhere! I was so excited when I was able to receive a pencil sharpener and review it! It surpassed by expectations. Now its my chance to share my joy with you! Please check out these awesome sharpeners at reasonable price at Classroom Friendly Supplies! They come in four basic colors: Midnight Black, Cool Blue, Groovy Green, and Firehouse Red. I loved mine so much, I ordered three more. I can't wait until I have a class of my own, and I will order the midnight black. It is now my favorite color choice! So check out the best sharpener in the world! 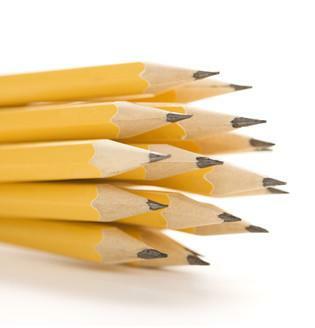 When I found that pencil were always sharp, and the sharpeners themselves were quiet. I bought and gave away three more. One to the teacher I work under, and two to my sons' teachers. Why make the teachers inferior sharpeners, when they could have the best! Now you could have the best, for free! I just ordered the blue one for my classroom! I have the green one for one side of my combination class, but ideally, I'd love to have the firehouse red for the other side so that I can eliminate cross traffic! I really don't think I could choose just one color! I think they are all awesome! If I win one, don't ask, just send one and let it be a mystery until it arrives! Cool blue. . . I was just saying I wish I had a new sharpener because the one I have doesn't work well. i like the black....well, actually, I will take any color! the kids in my class have ruined the brand new pencil sharpener they just installed on the wall. :( i need this badly!!! This would be great to get...it's my first year and I've already spent $1,000 on my classroom. Can't afford any more money this year! I have Kindergarteners, and they always need more pencils! I seriously need one of these! I would love a red one! I'm partial to the blue sharpener since it's the same color I painted my kids' lockers and the file cabinets! Any color as I am in desperate need of a new pencil sharpener!!!! What a great give-away! I have heard awesome reviews about this sharpener. If I am the winner, I would love to have the green or the blue. I love the black one! Definitely need one of these in my class! Green is my favorite color, so of course I like the green one the best! Blue and Black are my favorites ! Thank you so much for doing this! I love the red and also the green one. I hope I win! I never win anything! I'm a new follower and I love the red one! I would love the red one! Thanks for stopping by my blog and letting me know about the giveaway. My favorite color is blue. I'm already a follower:) Cool blue for me! thanks for letting me know about the giveaway! I am a follower! I like the blue! These sharpeners are AWESOME! oh my! i have not found a sharpener that is worth it yet! i will be so excited to try this one if I win! I teach first grade and, boy, do we go through a lot of pencils! I just started to follow you on Facebook and via email. I think I pick green! Sounds fun! Hi What a fun giveaway! I'm already a follower :) & Groovy Green is right up my alley!! The blue sharpener is my favorite. My favorite is black but I really want to see a pink one lol! Great giveaway! My favorite color is green. Love purple but not an option....I'd go for the blue! I would love black. It goes with everything! I would probably take the black one since purple isn't an option. My teachers would think they're in heaven if I won this thing ... it'd be the perfect Teacher Appreciation gift this week! Fun giveaway!! Let's Get Acquainted and a Classroom Freebie!